Milda Harris is a Chicago girl who is living the dream in Hollywood. She loves watching movies and playing random sports like dodgeball and kickball. Between working in production on television shows like Austin & Ally, Hannah Montana, and That's So Raven and playing with her super cute dog Licorice, she writes young adult mystery, paranormal, and chick lit novels. I wouldn’t have guessed that I’d write a book about a girl who liked to crash funerals, much less a series. Still, if I really think about it – it’s not so strange. Death is really a part of life. It’s just one we don’t like to think about too much. Despite that, I find I have a lot of memories surrounding funerals and graveyards. I remember visiting the cemetery with my grandmother as a child as she fixed up and watered the plants surrounding my grandfather’s grave. She missed him and she loved him and that was her way of continuing to check in with him, even after he was gone. In fact, I remember my grandfather’s funeral – the first one I had ever attended. I was five and I put a letter only to him in the casket before they buried him. That was my first lesson in someone dying and it was the first time I understood what that meant. I’ve had to relive that lesson way too many times since then, sadly. In college, I went to see the most haunted cemetery around. 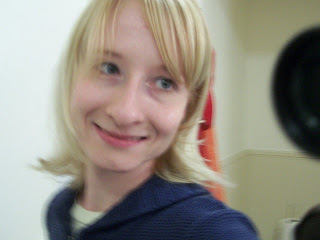 I was in my – isn’t it fun to get scared phase? The cemetery was long closed and forgotten and in the middle of the woods – extra creepy, but also fascinating. What had it been like when these people were alive? What was the history behind the graveyard? Why was it abandoned? Were there really ghosts? More recently, in search of out of the ordinary things to do, I’ve gone to movies in LA at Hollywood Forever Cemetery. That’s right, they host movies there on Saturday nights during the summer, projected on a mausoleum wall. Hundreds of people show up, picnic, and watch movies. Sometimes they’re horror movies, but often times they’re comedies and dramas. I saw The Shining there, but I also saw Pee Wee’s Big Adventure and Sixteen Candles. They’re super popular. That cemetery also hosts a Day of the Dead celebration once a year around Halloween, which is intriguing. People build elaborate altars for the dead and local residents flock to see them. As you can see, I’ve been to my fair share of cemeteries and attended way too many funerals, so when I went to write about Kait Lenox, the funeral crashing graveyard girl in the Funeral Crashing series, I wanted to incorporate the sad memories with those that were hopeful and curious. I wanted to make my readers think, but at the same time laugh and guess at a mystery. I didn’t want the thinking to ever became too painful because the thing is, memories of loved ones stay alive forever and cemeteries are like a history book – full of people’s life stories, if you only stop to look for them. 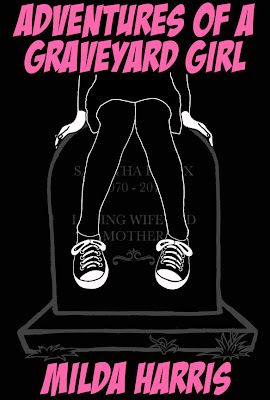 I hope you’ll stop to check out Adventures of a Graveyard Girl! As a note, Adventures in Funeral Crashing, book #1 in the Funeral Crashing Series, is now available for FREE! Kait Lenox is back! It's Homecoming Dance time and Kait is excited. It's her first dance with a date and that date is none other than one of the hottest, most popular guys in her school, Ethan Ripley! For once Kait doesn't feel like a funeral crashing weird girl and it's the most perfect romantic evening ever...at least until a girl gets murdered in the high school bathroom. Rumors fly, panic ensues, and Kait can't help herself, she assigns herself to the case! Thank you Ingrid for making this giveaway possible. 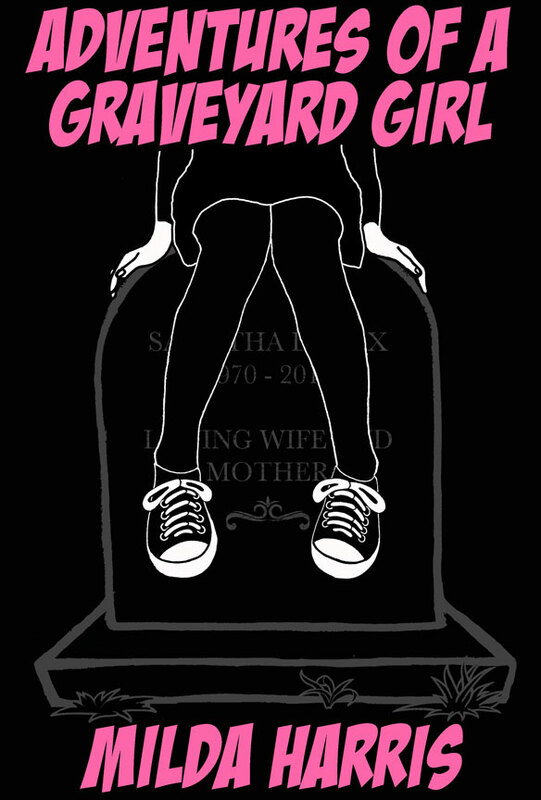 4 Winners will receive an E-Copy of Adventures of a Graveyard Girl by Milda Harris. Thanks for the review and for having me on your blog! The book looks great, thanks for the opportunity to win. I read book one! She had me the moment she referenced Harold and Maude! Hey! I love milda harris' books. So far i've read funeral crshing#1, doppelgangers (waiting for a second book) and the new girl who found a dead body. They are absolutely amazing!! And i would love to read adventures of a graveyard girl. Thanks to Mlida Harris for writing so many amazing stories!! =D and thanks for the giveaway too!